Fundraiser by DJ Hazard : Help Liza and Elsa- and many more! Help Liza and Elsa- and many more! These are Feral (wild) cats who are expected to keep a wide berth from humans. They've become amazingly comfortable around me (considering) and spend a lot of time watching me through the door instead of bolting to the next county at the first sight of a human. Liza has survived at least one heat without getting in a 'family way'. After getting certified at the Feral Cat Workshop, it was frustrating to take it to a higher level, being a one person operation way up in the Bronx with no car. 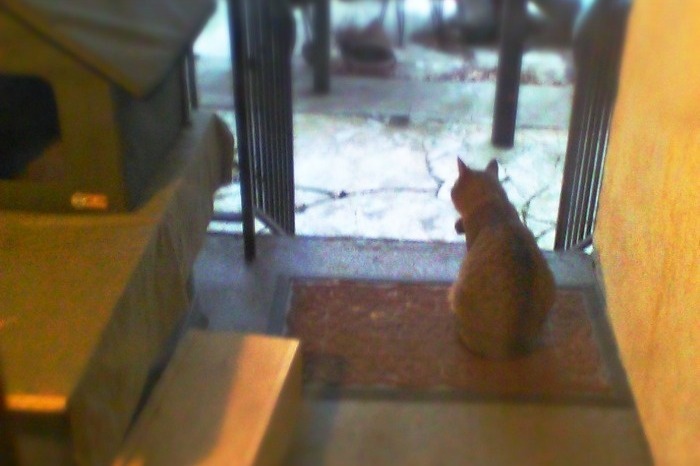 The plan is to get living traps and to look into medical expenses on my own. Before I even got the chance to go big time with this campaign, a wonderful person stepped forward and contributed two traps for the project. One of the local vet staffmembers pointed me to The Little Wanderers. They can coordinate transport, physical exams, spay/neuter procedures, blood test and rabies shot with the big animal hospitals in Manhattan and way over in a remote part of Queens. Working with Little Wanders got a LOT of good done. I sheltered 10 ferals from all over, cared for them and worked with them during their post op care. All but one got adopted, and I took that last little urchin in to join my own backyard tribe. She's doing wonderfully and is enjoying a much better life than in the steel yard where she was rescued. But all this was taking time and effort away from our own space monkeys outback. 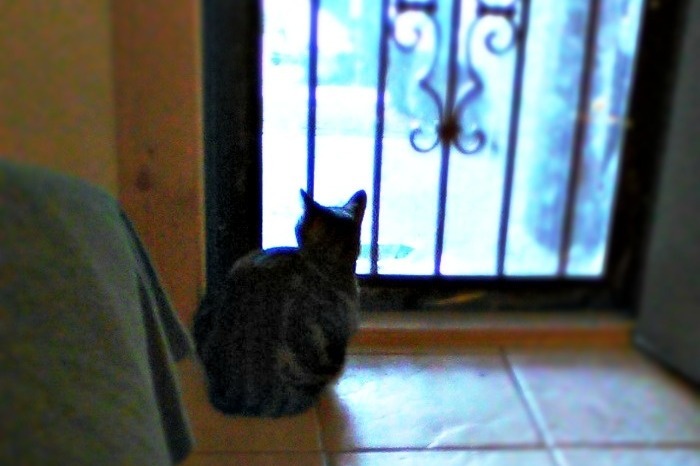 With one of our own cage/traps, a gift from Paula in Boston, our poster girl Liza has finally been taken care of. Our last benefit from working with the Wanderers was the ability to transport Liza to the ASPCA in Queens for her surgery, vaccinations, worm treatment etc. PLUS it was found she had an ovarian cyst. 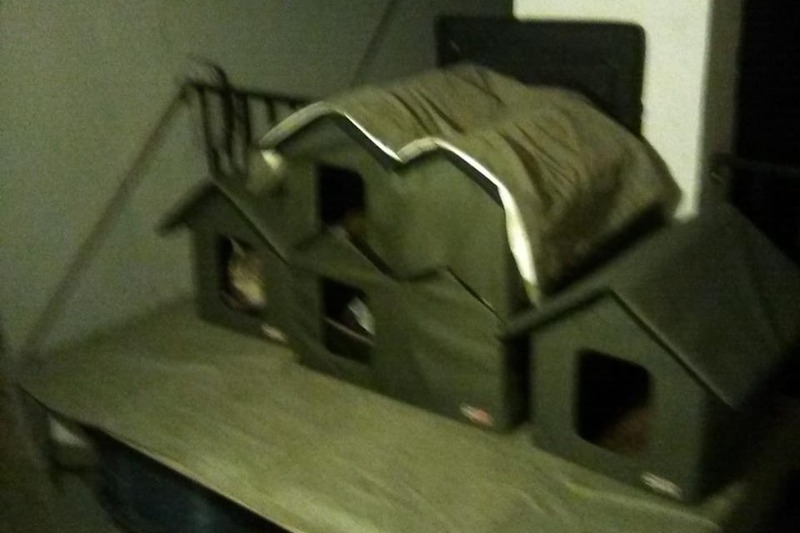 It was taken care of, of course, but it that wasn't included in the no cost ASPCA deal. 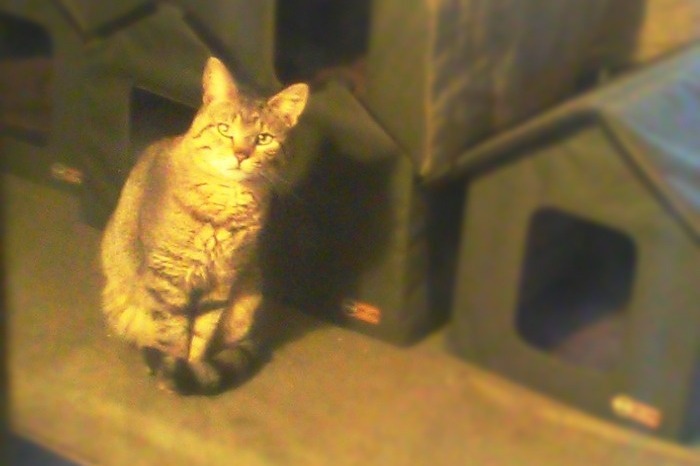 I have been in contact with several local vets for future feral treatment as time goes by. PLUS, there's always the need for more food (both wet and dry are advised) and straw for the next fleet of shelters that I will build for each coming winter. With your help, not only can we do the best we can for Liza and Elsa, but we can continue these procedures for the other little lions (there's always more) who need medical attention and to prevent more and more wild kittens from being brought into a tough world. I've set up a random donation goal. I hope it to be an open ended ongoing thing. Whatever we get will help and I will keep careful records of where the funds are spent. A humorous look at generosity in action. Thank you!!! Cat Town 2019 4.0 is 99% done. I put the second story back on backward. If it doesn't bother them, screw it. Maybe tidy up the thermal tarps (the big green things). They are very soft and they like laying on them. Not to be confused with the self-warming mats inside each unit. If you look close, somebody is way down on the far end first floor. Second wave of deliveries from the cat fund. Thank you! 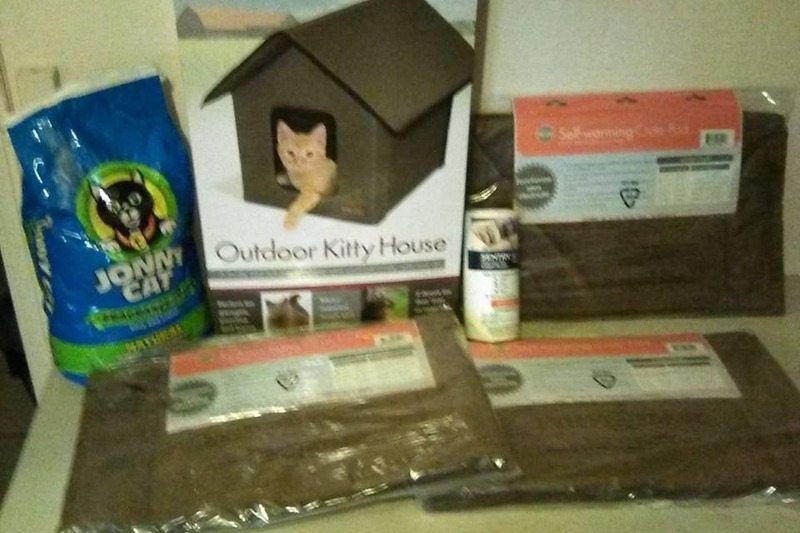 Here is a half size cat house (to go with the others), self-warming (mylar lined) crate pads, flea powder (sprinkle on the crate pads and hopefully kills left over fleas and ticks from summer when slept on) and some cat litter for Grem. She has been very cooperative about using a litter box in the middle of the night (rather than driving me nuts asking to go out and poop) so I am rewarding positive behavior.